It’s no coincidence that Apple released a series of iPad international video spots just hours before Microsoft unveiled its most affordable tablet, the Surface Go. The four 15-second ads spotlight the iPad’s ability to make mundane tasks like paperwork, packing, and traveling easier with the low-cost tablet. But what really gives the Surface Go an edge over the iPad is its input expandability. 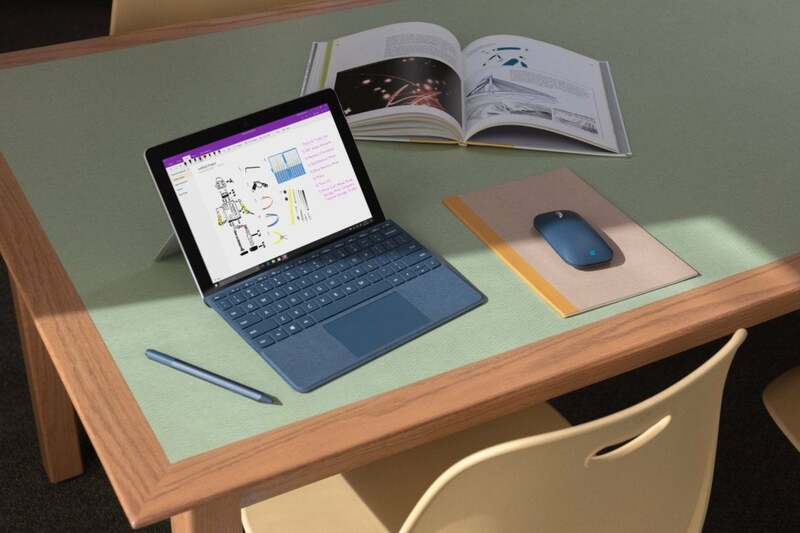 Like the 9.7-inch iPad and the Apple Pencil, the Surface Go includes support for Microsoft’s Surface Pen, but you can also use it with a Surface Type Cover keyboard and Surface Mobile Mouse. That means you can use it like a laptop on a table when you’re not holding it. The 9.7-inch iPad can’t do that so easily. The Surface Go wouldn’t be a true PC if it couldn’t be hooked up to a monitor. But Microsoft’s newest tablet doesn’t just run just any old display, it can power a full 4K one at 60Hz. 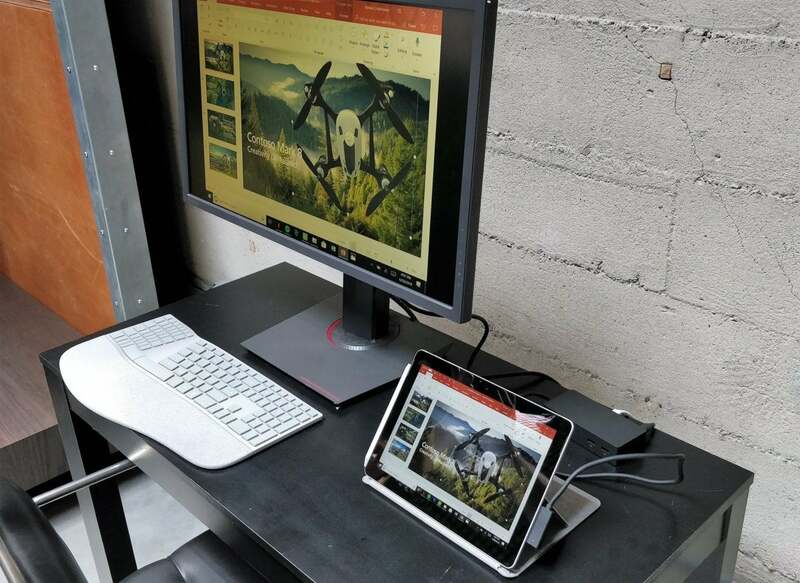 Like the Surface Book 2, you’ll need a USB-C adapter or Surface Dock to get it up and running, but that’s a small price to pay to hook up your 10-inch tablet to a giant 3840 × 2160 display. You can even use dual monitors if you prefer, but the refresh rate will drop to 30Hz. Still though, let’s see the iPad do that. Microsoft’s tiny tablet can power a 4K display. While it may be a foregone conclusion that the iPad will eventually adopt the iPhone X’s TrueDepth camera for ultra-secure Face ID unlocking, the Surface Go tablet has facial recognition built in right from the start. Microsoft has added Windows Hello support to its new tablet so you can unlock it just by looking at it. While it’s not quite as secure as Apple’s 30,000-dot 3D mapping, it’s still a fast and convenient way to keep your tablet locked down, and it’s way better than needing to press your finger on a button every time. While $399 is a fantastic price for this much tablet, when you break it down, the Surface Go isn’t nearly as inexpensive as it seems. The real hidden costs come with the accessories. Add on a Surface Pen, a Surface Mouse, and a much-needed Type Cover and you’re looking at another $237, bringing the total price to more than $600. Apple charges $99 for its Pencil too, but you’re still getting the whole package for less than $450—albeit without a mouse or keyboard. Arguably those peripherals aren’t crucial to the complete iPad experience like they are for the Surface, though. Accessories make the Surface Go costlier than it seems. 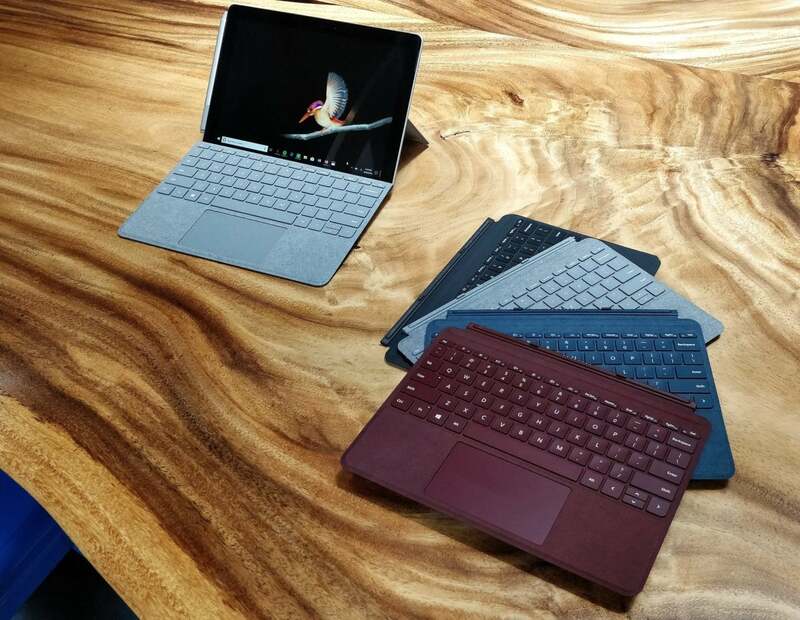 While the processor powering the Surface Go is an Intel Pentium part rather than an ultra-low-power Atom chip, the Surface Pro isn’t going to blow anyone away with its speeds. The 14nm chip here is based on Intel’s Kaby Lake architecture, which is a generation behind the newer Coffee Lake chips. The iPad also runs an older A10 chip from 2016, but Apple’s iOS optimizations likely give it a serious edge over the Surface Go, both out of the box and years down the road. We’ll need to run it through its paces to see if Microsoft was able to make the Surface Go fly, but on paper the chip in the entry-level model leaves much to be desired. On paper, Microsoft rates the Surface Go for nine hours of battery life, only about 10 percent less than the 10 hours Apple estimates for the iPad. That wouldn’t be so bad if not for the reality of Microsoft’s other Surface devices: Microsoft rated the 2017 Surface Pro at up to 13.5 hours of battery life, but in real-world tests, it only lasted for about eight hours. Switching the Surface Go from S Mode to full Windows 10 would likely impact battery life as well. It remains to be seen exactly how close the Surface Go gets to the nine hours Microsoft estimates, but we’re sure of this much: It probably won’t beat the iPad’s tremendous battery life.